Stone Soup for Five: What is a cross bearing life? 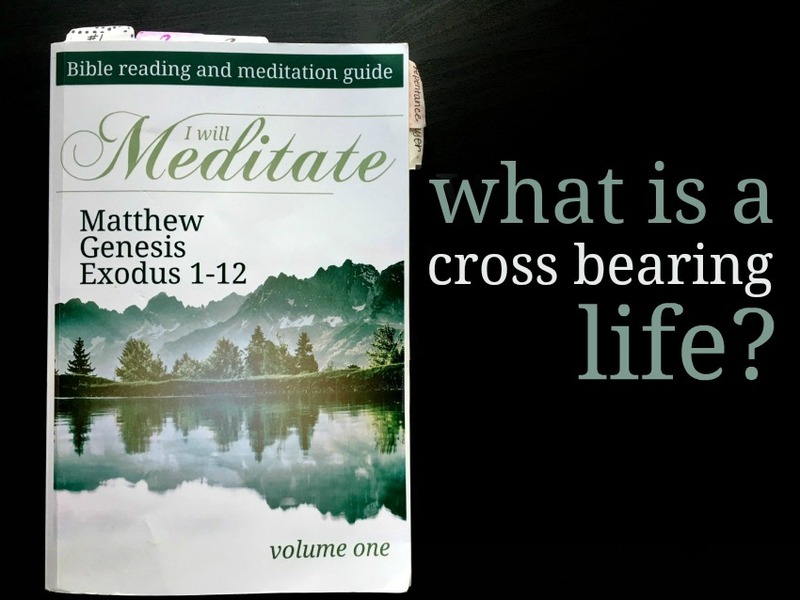 What is a cross bearing life? While journaling through Matthew I noticed over and over again themes of taking up my cross, denying myself, and counting the cost. 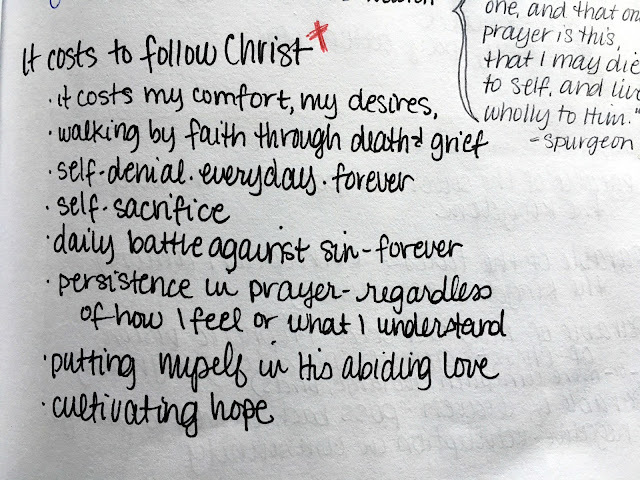 These three topics kept showing up as I read through Matthew, so I summed them up under the title of cross-bearing life. What is a cross-bearing life? 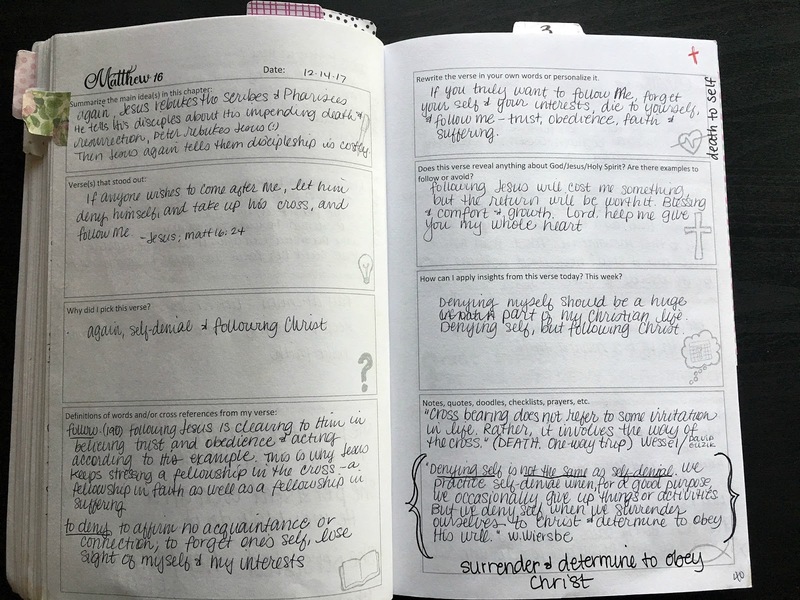 How do I live a cross-bearing life? Jesus wants me to follow Him. To do that, I need to be better at knowing what is non-essential and knowing what my pet distractions are so I can avoid, ignore, and work against them. I also need to know what it means to follow Him. And I need to count the cost of following Him. 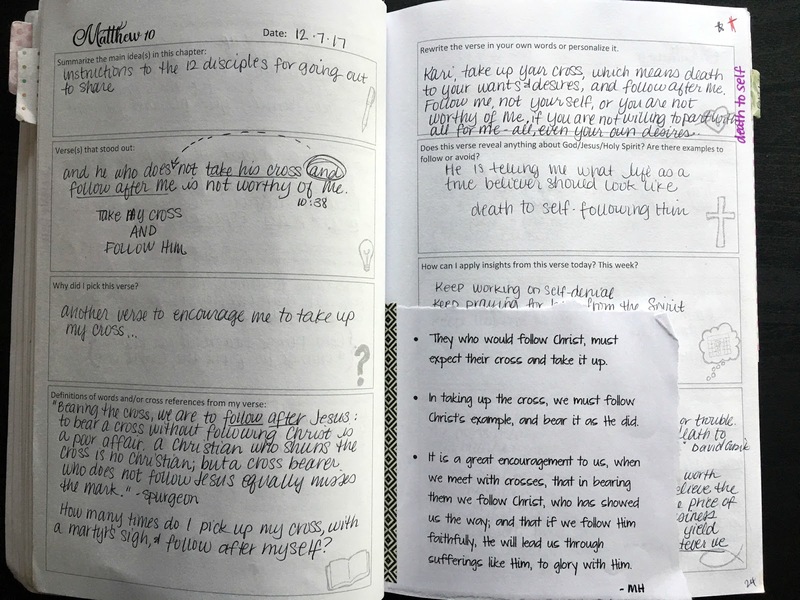 As I was working through my journal, I added notes of what it looks like to carry my cross and what it means specifically in my life. it will mean self-denial. Everyday. Forever. The Roman cross was a one-way trip. No one survived it. Carrying my cross isn't trying to limit some bad habits or sin. It isn't grudgingly thinking that a problem is just a cross I have to bear. Cross-bearing is a continual dying to myself. It's a one way trip ending in death to self. "Cross bearing does not refer to some irritation in life. What does cross bearing mean to you? 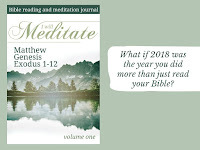 All the work above was done in the I Will Meditate Journal, which can be found on Amazon here. 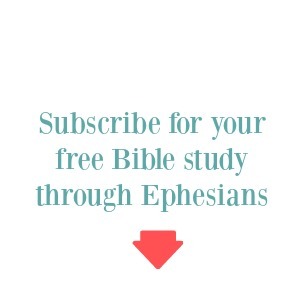 If you liked this post, be sure to subscribe to get new posts in your inbox about once a week, plus get a free full length Journal and Doodle Bible study through Ephesians. I was especially struck by some verses in Psalm 78 this morning that I think go along with taking up my cross. vs. 18 "and in their heart they put God to the test by asking food according to their desire." vs. 24 "He rained down manna upon them to eat and gave them food from heaven." vs. 29 "So they ate and were well filled, and their desire He gave to them. the choice men of Israel." vs. 37 "For their heart was not steadfast toward Him, nor were they faithful toward His covenant." I read this this morning and also 2 Cor. 12 where Paul talks about His thorn in the flesh. I am increasingly seeing that taking my cross is walking in trust in Him, even to the point of receiving as my "daily bread" that which I would not desire. Whatever He chooses to place in my day on any particular given day. Am I going to choose my way or His. There is about 10 times in the Exodus/wilderness story where the Israelites said something to the effect of "Has He brought us out here to kill us?" They, and we, need to learn to trust Him when it looks like even the depth of my being is going to die. Am I going to trust Him in the midst of it all? "even when it looks like the depth of my being is going to die..." I love that quote. Yes! So good! It's really fun to see your copy of I Will Meditate in use. 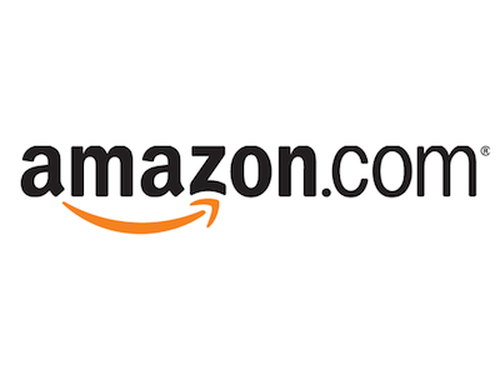 I'm interested to know more about the pages you are bookmarking? Are they the readings that were particularly meaningful, or the review/memory pages? You're never late and never behind! :) I put some tabs at the top to make it quick to turn to the Review and Reflect pages, and I put a couple tabs on the side for major topics, like prayer and repentance. It is interesting and o so joyous to see how God reveals himself to us when He knows the timing is appropriate for us. His Will, I shall surrender my “flesh” and all it’s wants and HE WILL TRANSFORM MY HEART. He will align my heart to His heart so I will desire the things that He desires for me and not the things of this world. When I try to do it on my own I fail miserably. So true! When I try to do it on my own I fail miserably. Yes, so very, painfully true. 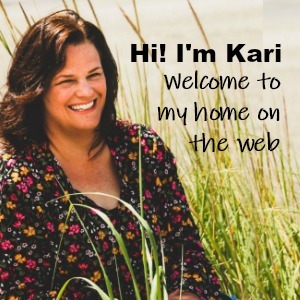 Kari, you've done it again, you've brought yet another soul searching topic at a timely moment. 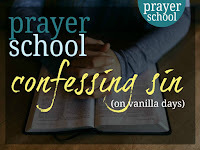 I'm in tears, both with grief and joy, grief because i'm going through a valley of death to self, but joy because i have sisters like you in the world enduring the same kind of walk, and no longer feeling alone.......God thank you for this blog. I love your honesty and your love for the Lord. Oh, yes, the Valley of Death to Self. I'm right there beside you sister. This makes me think that Jesus didn't come to die instead of us, he came to die for us as an example of what we must do - death to self. 1 Peter 2:21 KJV — For even hereunto were ye called: because Christ also suffered for us, leaving us an example, that ye should follow his steps. I especially like the section of what cross bearing will give you. It's true that our culture talks about something difficult as "being our cross to bear". Studying Romans has been a great attitude adjustment for me. All about not conforming to the world. This goes along with that. I love it when God puts His finger on something you didn't realize you were doing. And I liked the quotes you added at the bottom of the blog. Romans is so good too! It's me again. (I replied on 3/7/18.) 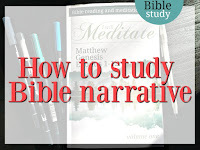 After thinking on the cross-bearing life, I hoped God would bring the topic around in my studies. He didn't take any time at all. My Bible study lesson hit on that very topic last week. I love when He choreographs my studies! I just had to tell you. Isn't that AWESOME when God does that? !